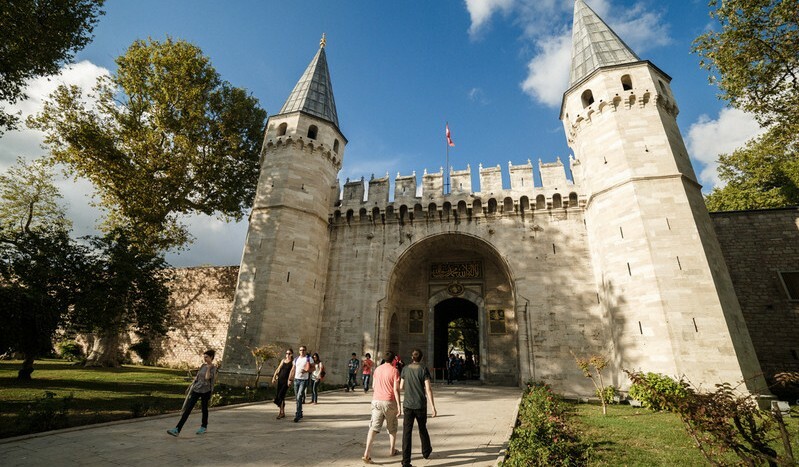 The heart of the empire, part command center and part archetypal Eastern pleasure dome, elegantly decorated “Topkapi Palace” is the home of the Ottoman power. The Sultans ruled the empire from here for almost four centuries. This “UNESCO World Heritage Site” takes at least half a day to visit for this place has many impressive features. Imperial Treasury, Harem Section and the innermost courtyards are not be missed. 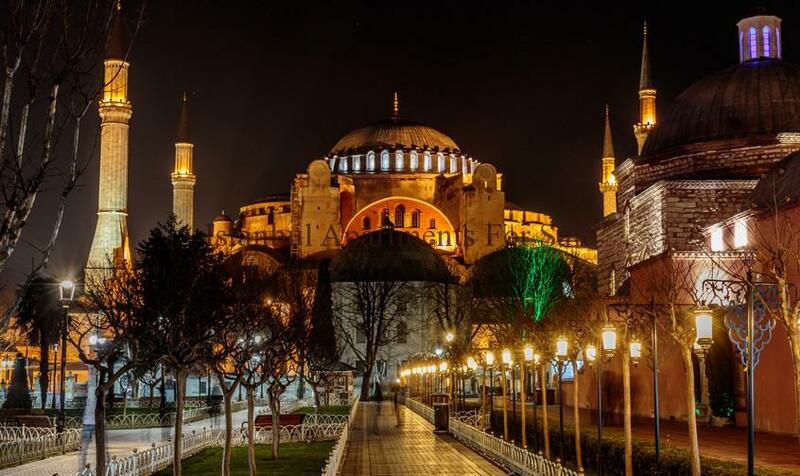 A true architectural marvel, Hagia Sophia (Holy Wisdom) stands in the core of the City of Istanbul. 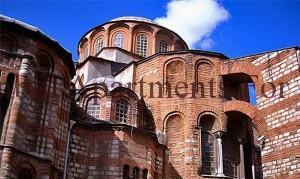 It was built as a Byzantine church between AD. 532-537, then converted into a mosque during the Ottoman reign (1453-1931) and now serves a museum. 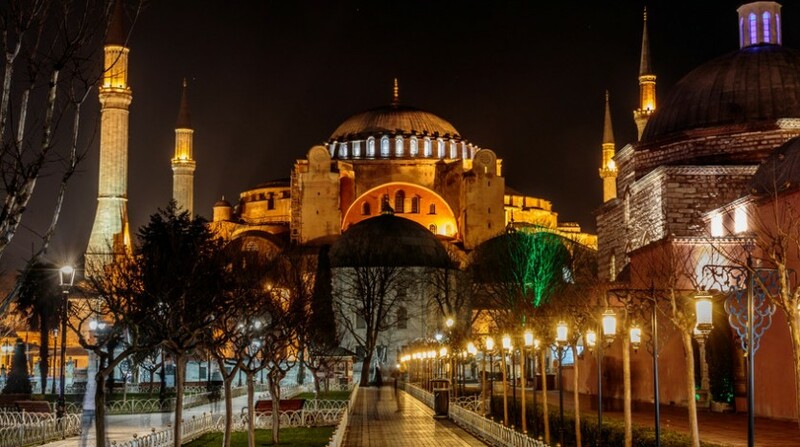 Hagia Sophia stood as “the world’s largest cathedral” for almost a thousand years until the Seville Cathedral was built. It’s massive dome and vast interiors are absolutely mesmerizing. 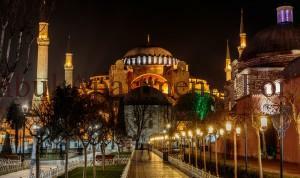 Byzantine architecture at it’s peek, Hagia Sophia Museum is a major site to be seen in Istanbul. The Church of St. Saviour in Chora or Chora Museum. This Christian art is known for all its magnificent, rare Byzantine mosaics and frescoes dates back to early 16th century. 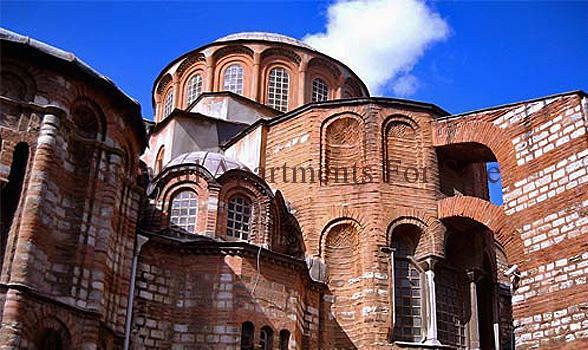 We definitely recommend Chora Museum as one of the great sights to see in the City of Istanbul. 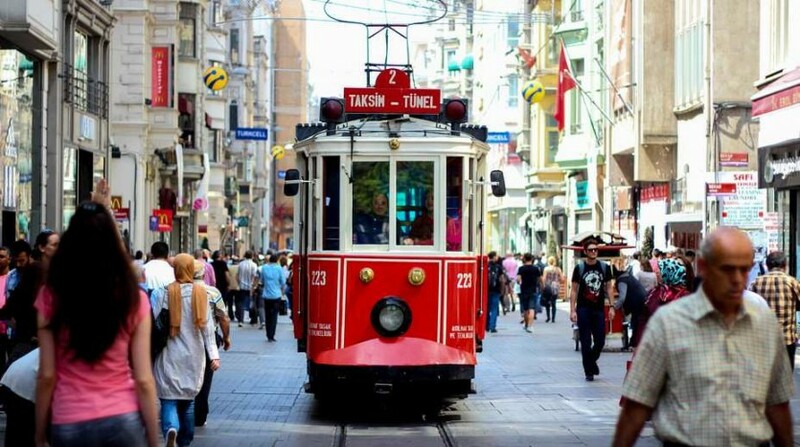 When visiting the Grand Bazaar you should take a full day, be prepared with time a calculator and a notepad as there are over 5.500 sellers to choose from. Haggling is a most and a delightful experience. Along with carpets galore there are local handcrafts, handbags, purses, leather goods , coats, jackets any more . When haggling to get the best price, one thing to remember is the shop holders pay their rent in gold – a steep seven kilos a year for the place along the main avenue in the shopping Grand Bazaar. Bosphorus is a natural water channel or a strait connects Black Sea to Sea of Marmara which is eventually connected to Mediterranean. It also separates two continent from each other Asia and Europe. Take a ferry from Eminonu, sailing along the Bosphorus between two continents, these half hourly commuter ferry services are truly a magical way of getting across this one of the worlds busiest waterways. It is literally an intercontinental experience which is totally unique . It’s a relaxing trip especially on a sunny day to enjoy nice Istanbul weather and a great way to see the waterfront Ottoman mansions, lush parks on the shore of Bebek, Ortakoy and Besiktas. 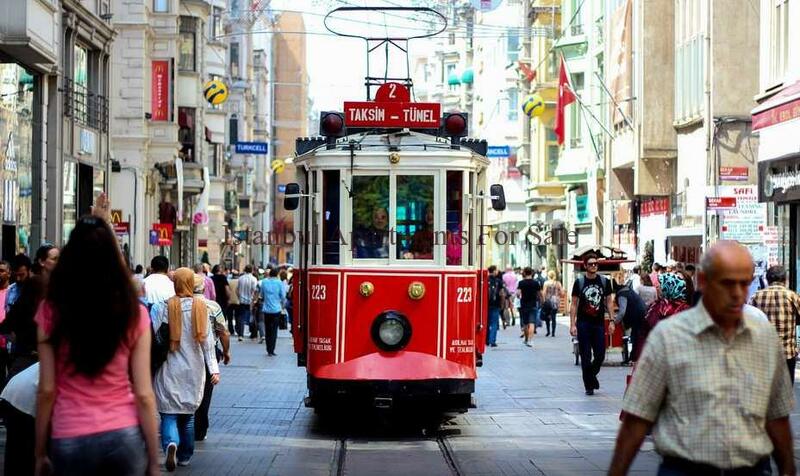 The Galata Bridge is highly recommended place to spend some time. There are waterfront restaurants, bars and tea houses situated on the bridge itself, a perfect place for boat-watching, sightseeing and enjoying the marvelous Golden Horn view. The bridge forms the link between the two sides of European side of Istanbul, The Historical Peninsula or the Old Town and Pera. Known in Turkish as ”Lokum “ there are many flavors made of many dried fruits, nuts, spices and plenty other mouth watering tastes to treasure. 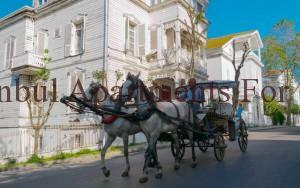 We recommend you visit to make a purchase within the Egyptian Bazaar (Misir Carsisi) in Eminonu. 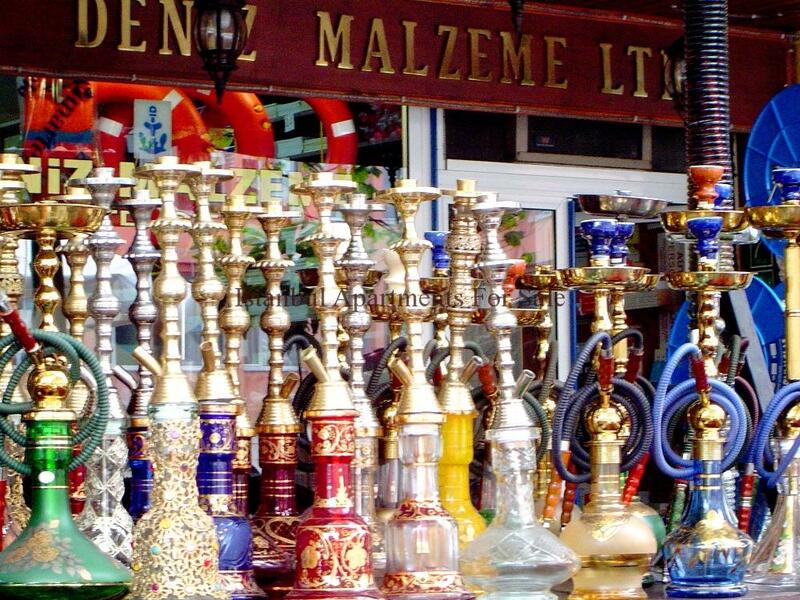 It does have many eager sellers trading there with perfumes and cheap gold items but plunge forward heading for the “Antep Pazarı” known for it’s traditional tastes. 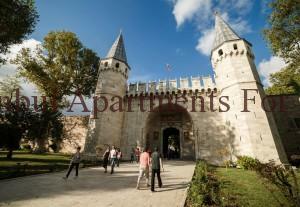 The Walls of Constantinople are the largest Byzantine structures standing still today in Istanbul. Constructed during the reign of Emperor Constantine and Emperor Theodosius these walls stretch for four miles from the Golden Horn to the Sea of Marmara. Being restored in sections in the recent years undeniably impressive, the walls comprise inner and outer ramparts with in-between terraces. An imperial heritage from Ottomans, Turkish cuisine offers a huge variety of foods in a fine mixture of dietary culture of the empire. Dishes with a Mediterranean twist, prepare your palate for many mixes of sweet and sour with various starters of “mezes” both cold and hot meat and vegetable combinations such as “dolma” stuffed vine leaves with rice and almonds. 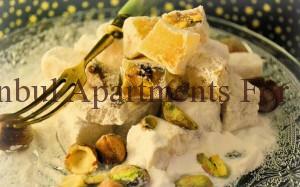 Kebabs, all kinds of meat , shish , bean and casserole main dishes finished off with traditional desserts. There are many options of traditional restaurants to choose from. Istanbul has much on offer with one of the worlds most healthy breakfast options with lush olives, local goats cheese and fabulous fresh breads making the mouth water, ready to start the day . “Asithane Restaurant” in Edirnekapi, offers authentic Ottoman Palace Cuisine with a menu prepared from an actual 18th century feast for Sultan Ahmed The Third. Along the waterfronts in Karakoy you will find “Istabul Museum Of Modern Art” a huge two storey customed warehouse where popular exhibits , contemporary art is on display. Books over the library and a shattered glass staircase hung from steel chains are set among the prime Turkish art exhibitions. The museum has a fabulous restaurant with amazing views across of the minarets of Sultanahmet , along the Bosphorus and out to the Marmara Sea. The magnificent historical white building of Dolmabahce Palace has the most stunning appearance when viewed from the waterside. Built in 1856, Dolmabahce Palace was the administrative center of the Ottoman Empire and the residence of Sultans for 66 years. Its main features include a crystal staircase, thirty six meters high dome in the throne room with a four tonne crystal chandelier (a gift from Queen Victoria) and its spectacular location. Dolmabahce Palace reflects the Ottoman luxury taste of 19th century. Traditionally the Greeks smash plates in tavernas, the French drink fine wines in brasseries , the British down pints in pubs, how about the Turkish? They get merry in the “Meyhane” the age-old Istanbul version of a tapas bar. Whilst listening to live local music and swaying along, drinking “Raki” and eating various kinds of cold “Meze” and fresh fruits are essentials to a “Meyhane”. The city’s most famous “Meyhane” is the “Cicek Pasaji” (Flower Passage) an elegant 19th century arcade located on “ Istiklal Caddesi“ in Taksim Area. As Istanbul is rediscovered by night, the best way to experience this is from above. Rooftop bars and restaurants are found everywhere. Each out doing the other with modern skyline places for eating and drinking in recent years. 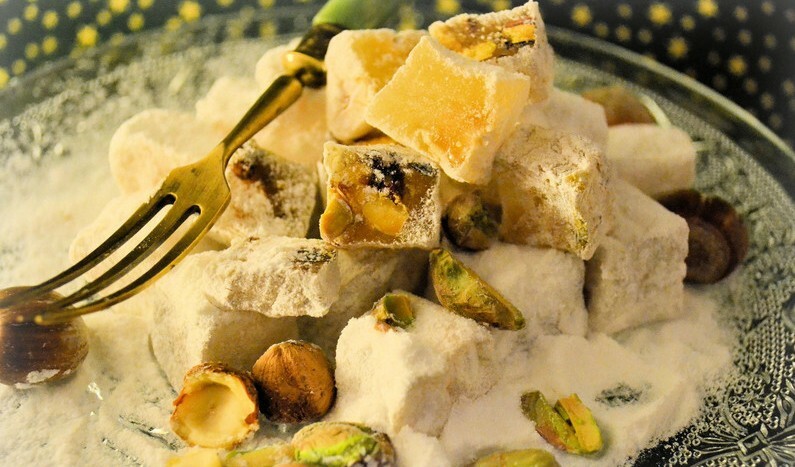 “Leb-i-Derya Richmond” has excellent food and both bright and airy atmosphere . “Besinci Kat” has a mix of art deco and modern decorative style and above all a wonderful Bosphorus view. 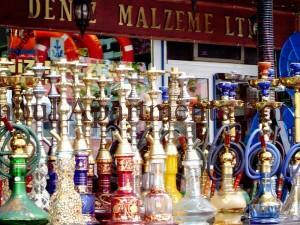 Turks have been smoking the “narghile” , hubbly bubbly since the 17th century. 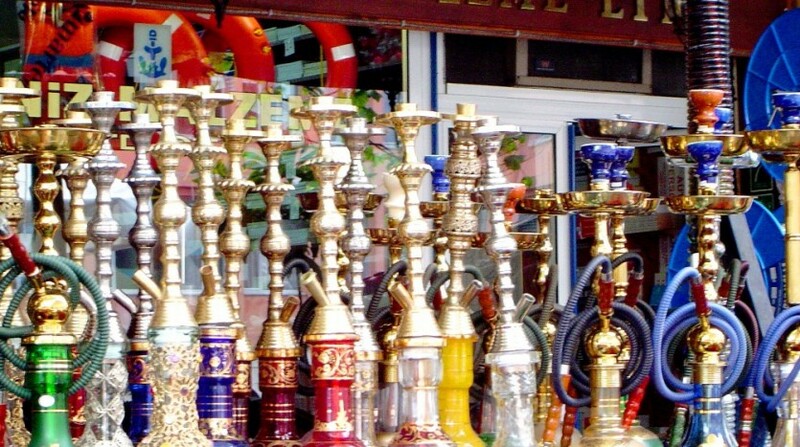 There are many cafes and restaurants lined with narghile cafes along the strip by the “Amerikan Pazari” in Tophane. You can give it a try even if your not a smoker but if you are not really into it then you might enjoy traditional Turkish Coffee or “Turk Kahvesi” served in a special, tiny porcelain cup and experience a Turkish narghile”parlour. “Enjoyer Cafe” is a popular choice among tourists while “Erenler Cay Bahcesi” is more of student friendly venue. 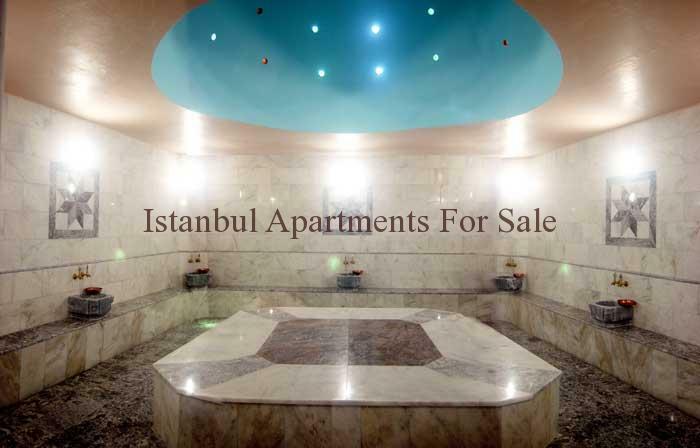 The public baths or Hamams date back to Roman times and inherited by Ottomans and got strongly linked to the Islamic tradition of cleansing and ablutions – a ritual for washing the hands, arms, face and feet with running water before praying. The Hamam is a sure and fine way of getting clean, where you lay on a hot marble slab, your skin is scrubbed and kneaded by one of the Hamam attendants . You wear the tradition bathing clothes the only cloth that you are given. It is better to stick with the touristic hamams including “Galatasaray Hamami” ,”Cemberlitas Hamami” and “Cagaloglu Hamami”. The Whirling Dervishes perform on every Sundays for tourists at the “Galata Mevlevihanesi “ located in Taksim Area. Sufi music is one of Turkey’s best known cultural exports although the Whirling Dervishes are rarely seen. Watching this spiritual ritual will surely have you spinning as they turn over and over and over throughout the spectacular performance. Ultra nightlife for Turks with clubbing into the early hours, for the elite party goes you will love the venues along the Bosphorus between “Ortakoy”and “Kurucesme”. Super-clubs during summer months are “Reina” and “Sortie” filled with celebrities. The upmarket newcomer is “Blackk” and the most tasteful of all is “Anjelique”. Turkish Pop idol Tarkan has influenced a new generation of musicians who combined Traditional Turkish Folk and Western Pop Musics together. Music venues in Istanbul are expending to accommodate these musicians all over the city. To find out about gigs look out around the cafes and bookstores in ”Istiklal Caddesi” where you probably will be handed out a flier. Prince’s Islands are set off Istanbul’s Asian shore, mainly elite summer houses of the locals are found here. Reached only by the sea, no cars or other motor vehicles are allowed on these peaceful islands. “Kinali”, “Burgaz”, “Heybeli” each of these islands has an atmosphere of it’s own. “Buyukada” is the largest of all, where you can take a phaeton ride around the island or enjoy fresh seafood served at the local restaurants. You can see a condensed mixture of true Istanbul dwellers: Greeks, Jews and Armenians rub shoulders with the Turks in the local square. Trail-walking, bike rentals, horseback riding are attractions available on the islands. There are also several Orthodox religious sites on the islands. To reach the Prince’s Island take a ferry from Kabatas (European Side), Kadikoy (Asian Side) or Bostanci (Asian Side). The ferry trip takes about 80 minutes.